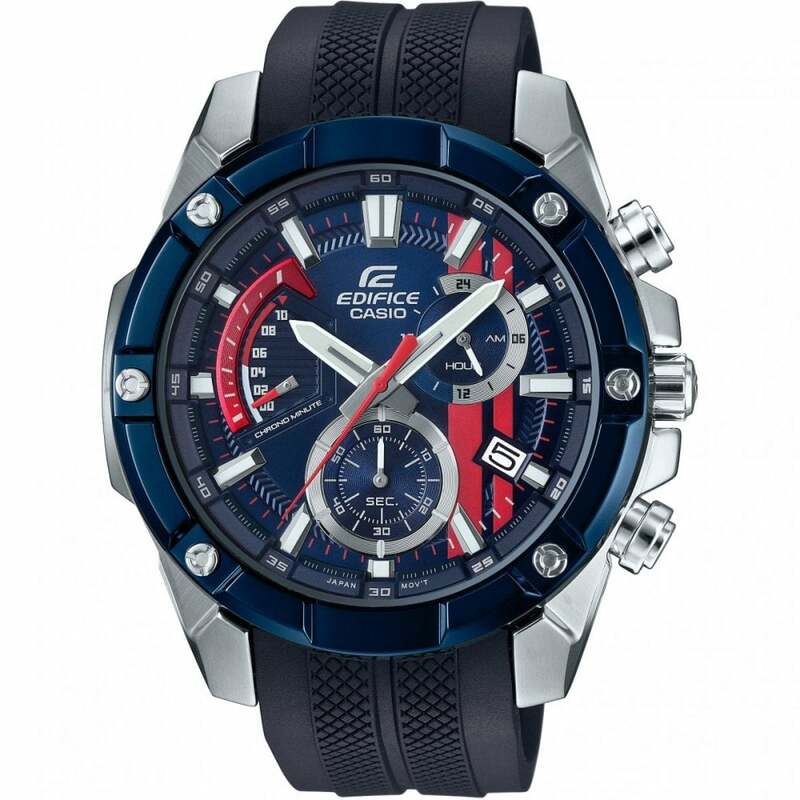 Casio Edifice EFR-559TRP-2AER Toro Rosso limited edition Men's Watch. This watch comes in a stainless steel casing with a rubber strap the watch also comes with a chronograph display. This watch comes in an official Casio Edifice Presentation box with a 2 year Casio warranty.